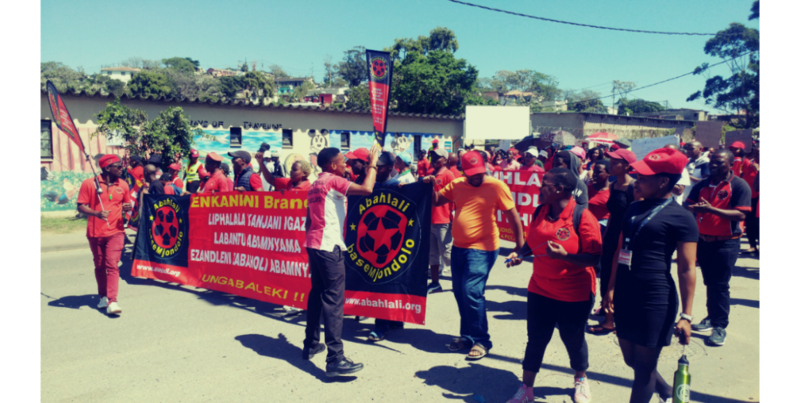 On Monday 8 October, the Abahlali baseMjondolo movement is expected to hand over a memorandum of demands to South African President Cyril Ramaphosa and Police Minister Bheki Cele at the Durban City Hall, calling for a commission of inquiry into killings of members of the movement. A solidarity march calling for a cease in assassinations of activists from various social movements is set to take place across the country and internationally. This comes in light of Abahlali baseMjondolo president Sâ€™bu Zikode being in hiding for months due to alleged death threats against him. Over the past few years the movement, which advocates for land, housing and dignity for the poor, has lamented torture, intimidation, and death. Early this year, one of the leaders was allegedly slain by unknown men in Marianhill. The march in Durban is set to be supported by organised street traders, including the Market Users Committee, Ubunye Bamahostela, the Congolese Solidarity Campaign, the National Union of Metal Workers of South Africa (NUMSA), and the South African Federation of Trade Unions (SAFTU). Bonono also said the movement has written to the president and police minister with no response. â€œIn June this year we wrote to President Cyril Ramaphosa and Minister Bheki Cele about all this. We received no cooperation from them. We will demand an end to violence against our movement and all other struggling communities. We will demand the right to free and democratic organising outside of the ANC. We will demand that all the murders of our comrades be properly investigated. We will demand that all threats made by councillors, as well as the Mayor, be investigated. And, yes, we will demand that our leaders in hiding be protected,â€ he said. Some of the demands highlighted on the memorandum include state protection for the members who are in hiding due to alleged death threats, and establishment of an independent commission of inquiry by the president into the killings of Abahlali baseMjondolo members. According to Bonono, solidarity marches will be held locally and abroad. â€œSolidarity marches have been organised by our comrades in Cape Town and Johannesburg. Our comrades in New York City in the United States will protest at the South African High Commission,â€ he said.